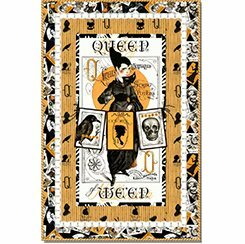 Queen of We'en Quilt & Swag Kit. Kit includes everything for the Quilt and the Swags (backing and ribbon not included), 2 for the price of 1 Kit! What a great way to decorate for the season.